These dinner rolls are super simple- just mix the dough, let it chill, form the rolls, let them rise, then bake. No kneading necessary! 1. Combine the warm water and yeast in a large bowl. Let the mixture stand until yeast is foamy, about 5 minutes. If it does not become foamy, your yeast is probably old and not active- it's best to throw it out and start again. 2. With a wooden spoon, stir in butter, sugar, eggs and salt. Beat in flour, 1 cup at a time, until dough is too stiff to mix (some flour may not be needed). 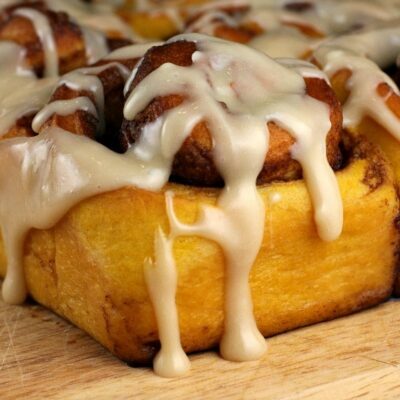 The dough should no longer be sticky. Place round ball of dough into a new bowl that has been sprayed with nonstick spray. Cover with plastic wrap and refrigerate 2 hours or up to 4 days. 3. Grease a 13x9-inch baking pan. 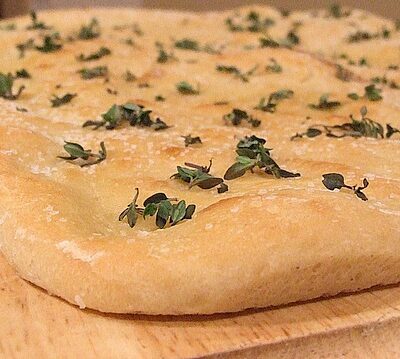 Turn the chilled dough out onto a lightly floured board. Divide dough into 24 equal-size pieces. Roll each piece into a smooth round ball; place balls in even rows (4 rows by 6 rows) in the prepared pan. Cover with a dish towel and let dough balls rise until doubled in volume, about 1 hour (or so). You can leave them to rise longer if you need to. 4. Preheat oven to 375° F. Bake until rolls are golden brown and cooked through, 15-20 minutes. If they are browning too quickly on top, tent foil over the rolls until finished baking. Brush warm rolls with melted butter, if desired. Break rolls apart to serve. *In this recipe, don't use quick-rising dry yeast. 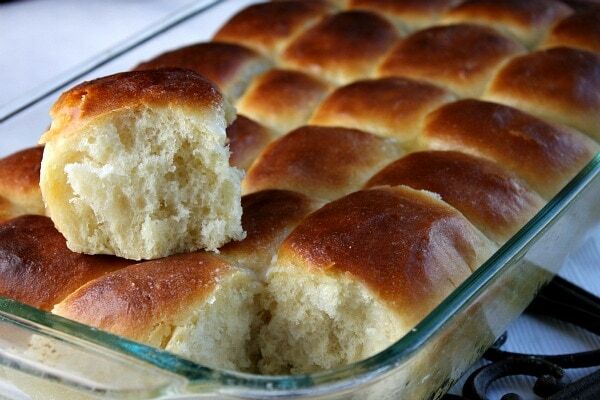 *These rolls may be baked early in the day and re-warmed when ready to serve. 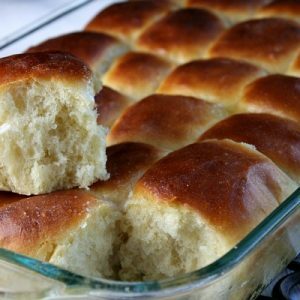 I’ve made these rolls several times, including yesterday for Thanksgiving, & they are wonderful! One time I made them using quick-rising yeast & another with regular yeast. Both times the rolls were yummy. Today, I’m making another batch using 1 regular & 1 quick rise yeast because that’s what I have in the house. By the way, I use my stand mixer with the dough hook when mixing in the flour. This save my arms from getting so tired when the dough gets stiff. I also knead the dough for a few minutes before forming the rolls. My family just loves these rolls! Thanks for the recipe! 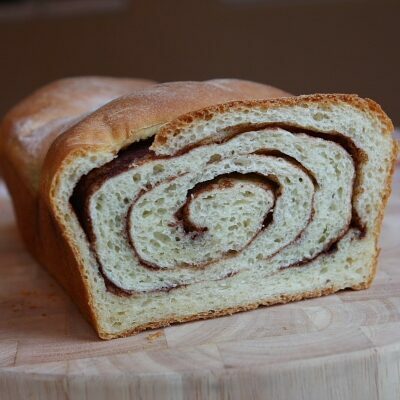 Could you use this dough to make Monkey-bread? Can’t wait to try these. If I make ten tomorrow and refrigerate until Thursday, what is the best way to reheat them? Oven or microwave, and if oven, what temp and how long? I’m making mine today. They’ll be fine wrapped at room temperature. My plan is to wrap them in foil and heat them in the oven just before serving Thanksgiving dinner. Omg! This is it! I tested these today and I have found my thanksgiving rolls! My last recipe I tried took much more time and ingredients and wasn’t nearly as good. I’m probably going to brush them with honey butter and serve more with them as well. One thing I wish I had thought to test though. Since they can stay in the fridge 4 days could you rise them a couple hours then roll them then keep in the fridge maybe another full day or more? I would love to hear if someone tries this. Thanks for a great recipe! What would happen if you used quick rise yeast? I think it would probably be fine! it will not be the same.